I personally think that season this is one of the biggest in Power Rangers history because the ultimate threat is larger than most. Adventurer and billionaire, Andrew Hartford, discovers the crown of the gods, Corona Aurora. Unfortunately, he accidentally unleashes Flurious and Moltor, evil brothers who were imprisoned within separate elements a millennia ago for trying to steal the Corona Aurora and use its powers to conquer the universe. The guardian of the crown, the Sentinel Knight, informs Andrew that Flurious and Moltor will come to Earth because five powerful jewels that are part of the Corona Aurora are hidden there. He also instructs Andrew to develop weapons and form a group of brave individuals to combat the evil brothers and find the missing jewels. Four different people, and Andrew's adventure-seeking son, Mack, are granted DNA-enhanced abilities and begin the operation to search the planet for, recover, and protect the five jewels of the crown of the gods while battling the ice-cold Flurious, the lava-hot Moltor, and other evil villains. 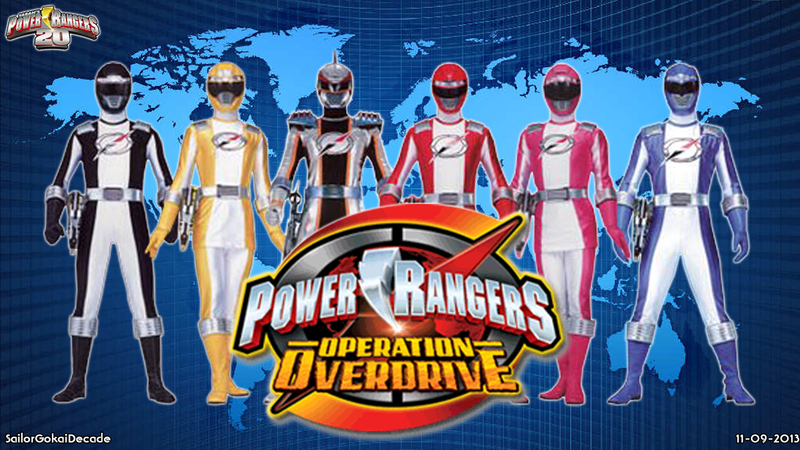 The five become the heroes that must keep the jewels out of the hands of evil to save the universe, the Power Rangers Operation Overdrive.